Quite where the story of this castle begins is somewhat hazy. Killua Castle was built in 1780, but what was built then was a house, not a castle. It was not until 1820 or so that it would become a castle, transformed by the zeal of Thomas Chapman, the 2nd Baronet of Killua. On the other hand, there was a castle there before the Chapmans, when the lands of Killua belonged to the Knights Hospitaller, though like all other such lands it was taken away from them by Henry VIII when he dissolved the monasteries. The land would remain in the government’s hands, until Cromwell would gift it to the Chapmans. So let’s start there – with Captain Benjamin Chapman. 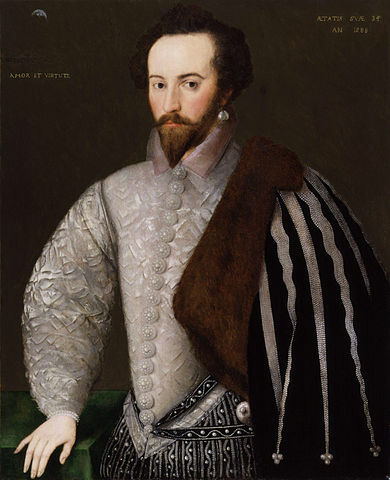 Sir Walter Raleigh, famous kinsman of the Chapman patriarchs. Benjamin’s father, William, and his elder brother John came over to Ireland in the 16th century as part of Elizabeth’s plantation of the country. They were cousins to the famous Sir Walter Raleigh, and this influence gained John a large land grant in the southwest of the country. Quite what misadventures the two had is unknown, but after Raleigh’s fall from grace the elder Chapman found it politic to divest himself of his estate and sold it to the Earl of Cork for the sum of £26,400 – worth over ten million dollars in today’s money. Quite what happened to this vast fortune is unclear, but it seems clear that it did not pass down to Benjamin, who was born three years later. Both his father and his uncle died before he came of age, and while he was able to purchase himself an officer’s commission it was as a Cornet – the lowest of the three ranks of commissioned cavalry officer at the time. Murrough O’Brien, Earl of Inchiquin and employer of Captain Benjamin Chapman. He joined a regiment raised by Murrough O’Brien, the Earl of Inchiquin. The O’Brien family had renounced both their Catholic faith and Irish customs a century earlier as a condition of retaining their land and titles under Elizabeth, and Murrough embraced his family’s Anglican faith with a particular zeal, becoming known as Murchadh na dTóiteán, Murrough of the Burnings, for his eagerness to put to the torch both the possessions and person of those he viewed as heretics. (Ironically, given his early Anglican zeal, Murrough would convert to Catholicism in his old age.) 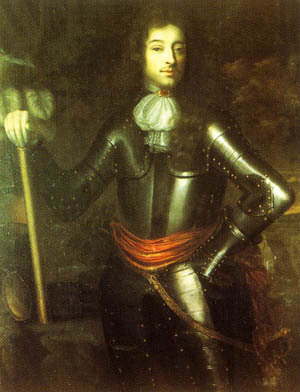 Naturally Murrough fought against the Irish Rebels in the Irish corner of the War of the Three Kingdoms (the English side of which was known as the English Civil War). His original loyalties were to the Crown, but he was forced to switch sides to Parliament as they were the only ones who could provide him with supplies to fight the rebels. It was good for Benjamin that he did – he had risen to the rank of Captain, and so distinguished himself in the fighting in Ireland that Cromwell granted him the lands of Killua in Westmeath – perhaps because of its association with his kinsman, Raleigh. Here it was that he settled, after the wars had ended. His purely military rank may have seen him spared from Parliament’s fall, and the Chapmans would rule in Killua for many years to come. “A View Of Killua Across The Lake”, by WIlliam Sadler. This picture predates the alterations Thomas made to the property. His great grandson, Sir Benjamin Chapman, was created the first Baronet Chapman in 1782, two years after he demolished St Lucy’s, the original home of the Chapmans in Killua, and built himself a proper modern home. He had it designed by Thomas Cooley, an English architect who had come to live in Dublin after winning a competition to design the Royal Exchange (which is now Dublin City Hall). This flagship building won him commissions throughout the city and all over the country. Later alterations would change it completely, but some images of the original building survive – most notably a series of views by the painter William Sadler. 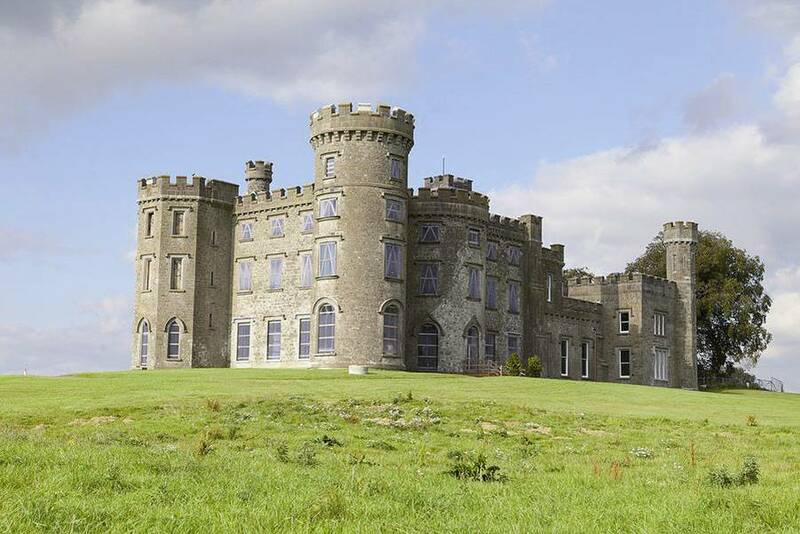 In 1810 the first baronet died, and the title as well as the castle passed to his brother Thomas. (This would not normally have happened, as at the time a title would have to be inherited by a male descendant of the first titleholder, however a special exemption to allow it to pass to a descendant of Sir Benjamin’s father had been granted when he was given the title.) It was Thomas who gave us the castle we know today. Thomas was a fan of the gothic style, and this is what shaped the castle we know today. He added round towers, castellations, a secret passage out into the gardens – in short, everything a proper gothic setting requires. There was another notable contribution Thomas made to the estate. Out in the grounds, about 200m from the castle he had an obelisk raised to commemorate the illustrious kinsman of his ancestors, Sir Walter Raleigh. 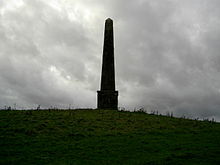 Sir Walter had visited Killua, and where the obelisk was raised is where, according to legend, Sir Walter planted the first potatoes in Ireland – a truly fateful moment, given the number of lives dependency on that vegetable would claim. A better image is available at the Marsden Archive. Thomas’ gothic obsession would find a tragic echo in the fate of his son and heir Montagu. He inherited the baronetcy in 1837, and became fascinated with Australia, which he first visited in 1841. He bought a large estate near Adelaide and populated it with tenant farmers in the same model as his estate in Ireland – in many cases, with the same tenants, as he would pay for the passage of any who wished to move to Australia. It was while travelling from Melbourne to Sydney by boat that he vanished, presumed lost at sea and never to be seen again. 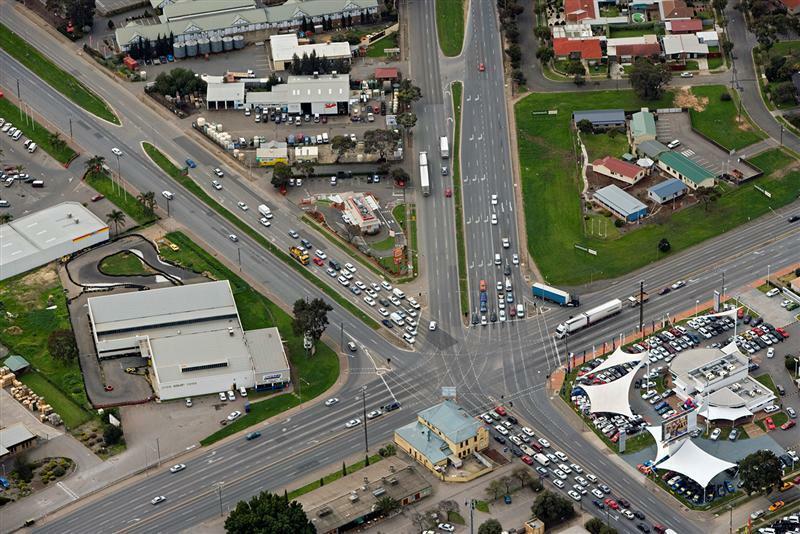 Gepp’s Cross, in northern Adelaide – the site of the former Chapman Australian estate. Montagu died childless, and so Killua passed to his brother Benjamin. 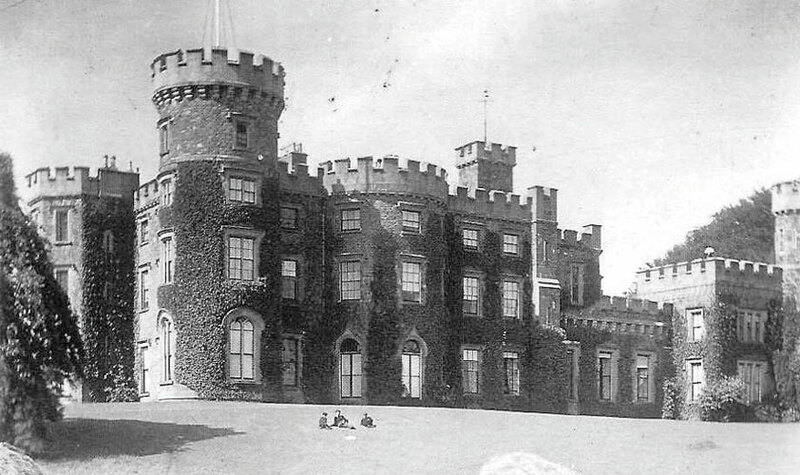 The castle and estate continued on through the Chapman family, until eventually it came to Sir Thomas Robert Tighe Chapman in 1870. Thomas was a second son, and had been raised and trained with the expectation that he would run the estate for his elder William. William’s untimely death at the age of 26 saw Thomas become heir to the estate and the castle (though not the title, as that was with a cousin). Three years later he married Edith Sarah Hamilton Boyd, the daughter of another prominent Westmeath landowner. The couple had four children, all daughters, but the marriage was reportedly not a happy one. Edith was very religious and enforced prayer on the household, sternly disapproving of all vice, while Thomas took to drinking and depression. One of his daughters would later comment that her father was “dour” – except in the presence of their governess. This governess was Sarah Junner Lawrence. 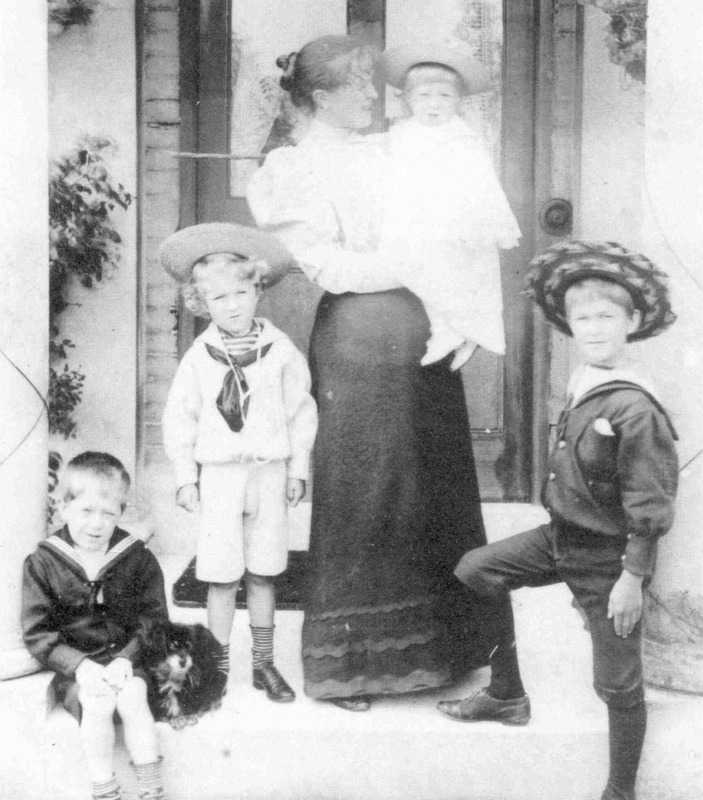 Sarah Lawrence and several of her children. Sarah was herself the illegitimate child of a liason between a servant named Elizabeth Junner and John Lawrence, one of the family she was a servant to. Unsurprisingly, then, Sarah and Thomas began an affair. What was surprising, however, was that it appears to have been a true love match rather than the usual abuse of power such relationships tended to be. When Sarah became pregnant, Thomas set her up in Dublin, but there she was recognised with her son and their relationship was exposed. Even more surprisingly, Thomas chose to brave public scorn and scandal by leaving his wife for Sarah. The couple moved to Wales, where they had another son. They named him Thomas Edward Lawrence, though he would become better known to the world by the name he earned during World War I – Lawrence of Arabia. 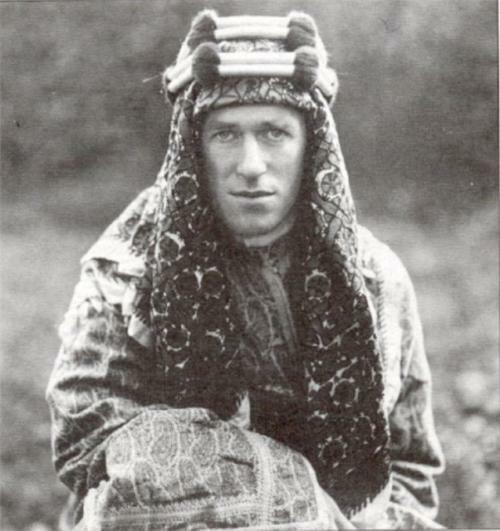 TE Lawrence, wearing traditional Bedouin garb. His attempts following World War I to establish an independent Arabia would be frustrated by the colonial competition of France and Britain. The Lawrence family, as they named themselves, lived relatively comfortable lives. They would have nine children together, though three would not survive past infancy. 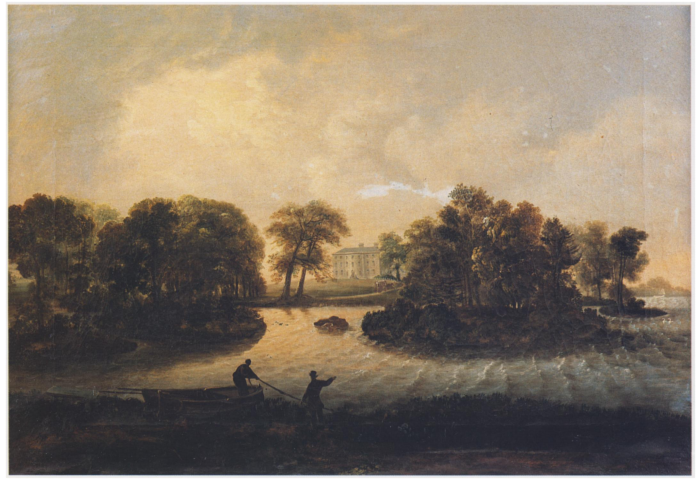 Thomas had some personal capital, which was enough to live a life of leisure, though he was forced to assign his interest in his father’s estate to his younger brother William. His father died in 1889, four years after Thomas had left Edith, and left the bulk of his estate to William, while Thomas was cut out of the succession. William in turn left the estate to his sister Caroline when he died, and while a part of his fortune was left to Thomas, an equal portion was given to his four legitimate daughters. Thomas did inherit the baronetcy in 1914, but since none of his sons were legitimate and he was the last legitimate heir of Benjamin Chapman’s line, the title became extinct on his death in 1920. Caroline died within a few months of him, and left Killua to be divided among the four daughters. The Lawrence children got nothing. The castle while it sat abandoned. 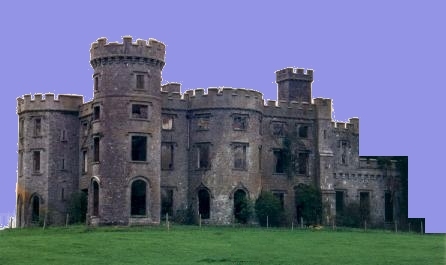 The Killua estate was sold off piecemeal in 1949, and Killua Castle was abandoned. TE Lawrence had visited it in the 1930s, when it was reportedly being used as a golf club, and mentioned in his letters that he intended to buy it, but his death in a motorcycle accident in 1935 put an end to that plan. Instead, the castle was left abandoned for 60 years, until a Swiss banker named Allen Krause came along. 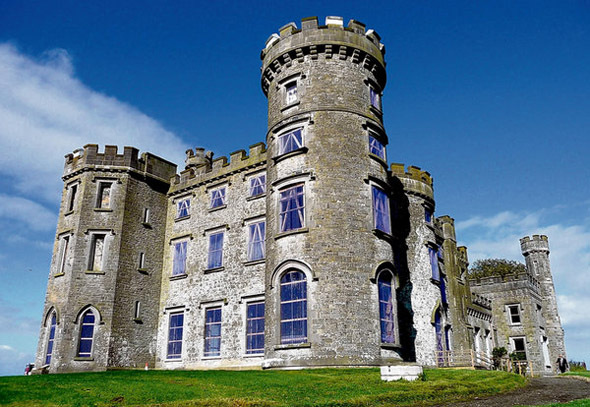 He visited the castle in 2004 and fell in love with it, purchasing it and beginning one of the most ambitious restoration tasks in Irish history. The effort is still ongoing, and is not expected to be completed until 2020, but it has impressed many with both the amount of care taken to preserve the original building, and the innovative restoration techniques that those working on it have developed to meet the challenges of working with such a fragile structure. It’s good to know that though the family who once lived in Killua Castle have faded away, the castle itself has been rescued from such a fate.